From gracing the Iditarod Trail to starring in Disney’s Balto, the Siberian Husky has a revered history of participating in sled races and winning the hearts of families all over the world. With striking, wolf-like features, the breed is originally from the Arctic lands of Siberia, where they were used to pull heavy loads over long distances. 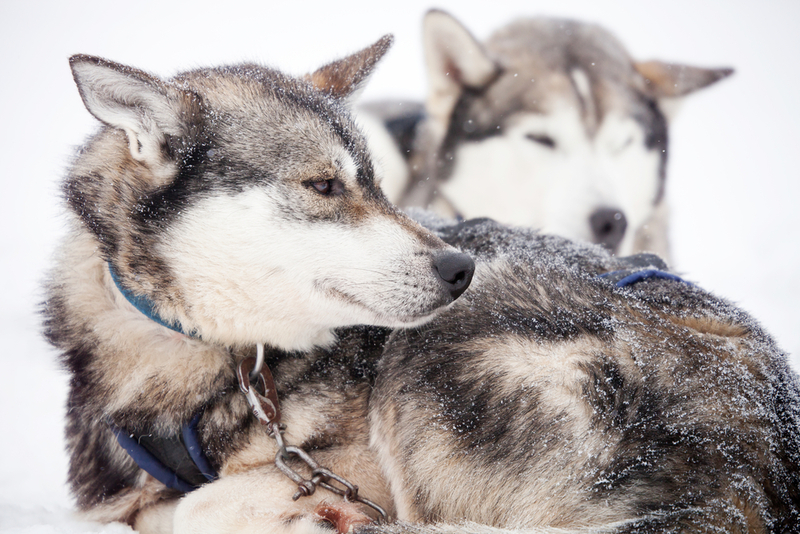 Today’s Huskies are as energetic as they are loving, requiring plenty of exercise and a nutritious, protein-rich diet. To make selecting a food for your pet a bit easier, we’ve reviewed the best dog foods for Siberian Huskies, from puppies to adults and seniors. Huskies weigh between 35 pounds (small females) and 60 pounds (large males). To maintain their athletic build, Siberian Huskies require a diet packed with meat protein. According to the National Research Council of the National Academies, an active Siberian Husky weighing about 50 pounds requires an average caloric intake of about 1358 calories. 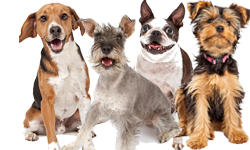 However, each individual dog’s caloric intake varies depending on activity level, metabolism, age, and weight. Huskies that have been spayed/neutered require fewer calories. While Siberian Huskies are active by nature, they tend to eat less than other breeds of their size. It’s not unusual for Huskies to only eat when they’re hungry, skipping a meal or two every now and then. 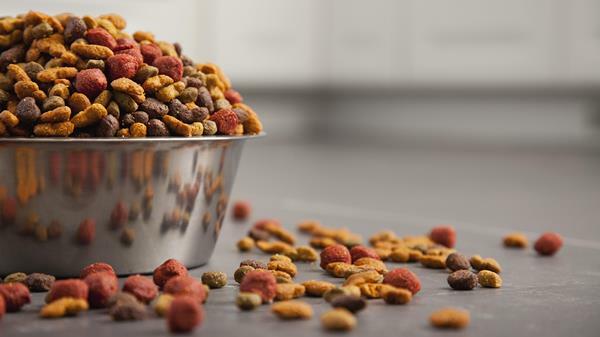 For this reason, you may want to consider a high-calorie dog food. Two or Three Meat Proteins – Whole meat, such as chicken, beef, fish, and lamb should be included in the first several ingredients listed. Protein can also come from meat meals, a concentrated form of meat in which the moisture has been removed. Omega-3s – This fatty acid helps keep a Siberian Husky’s skin and coat healthy. DHA – One of the three Omega-3s is DHA, which supports brain and eye development in Siberian Husky puppies. 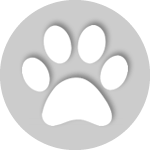 Carbs – To keep a Siberian Husky’s blood sugar steady, the dog food should be low in carbs and may include an alternate, low-glycemic form of carbs, such as sweet potatoes. 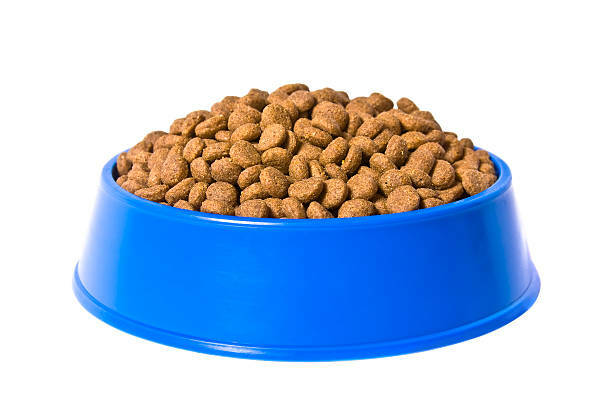 Calorie-Dense Foods – Siberian Huskies tend to skip meals, so if you can feed them a calorie-dense dog food that is packed with nutrients and calories, you’ll be certain they’re getting the nourishment they need. Lactose and Gluten-Free – It’s common for Siberian Huskies to be lactose or gluten intolerant, so you may need to avoid formulas with milk, skim milk powder, whey, or wheat. To ensure your growing Husky is developing properly, feed him or her a puppy food with a minimum of 22 percent protein and eight percent fat, according to the Association of American Feed Control Officials (AAFCO). 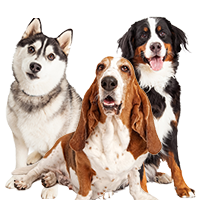 To help you choose a dog food that is suitable for your pet, we’ve hand-picked formulas that meet all the needs of a Husky puppy. 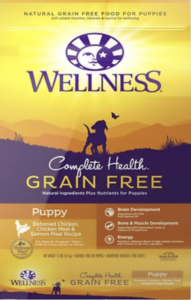 Wellness Complete Health Puppy formula strives to help your puppy meet the “5 signs of wellness” — clean skin and coat; sustainable energy; digestive health; healthy eyes, teeth, and gums; and strong immune health. Added benefits include DHA for brain and eye development, antioxidants from blueberries and spinach, and taurine for a healthy heart. This puppy-specific formula is an excellent choice to nourish your Siberian Husky Puppy. 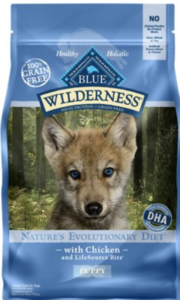 Coined “Nature’s Evolutionary Diet,” Blue Buffalo Wilderness provides nutritious ingredients that support brain and eye development, healthy muscle growth, strong bones and teeth, dental health, healthy skin and coat, and immune system health. Promising to provide a recipe with no by-products, preservatives, or artificial flavors, this formula provides some of the highest quality ingredients on the market. 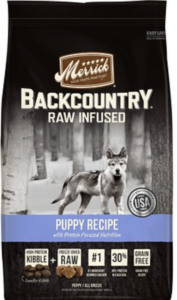 Made in Merrick’s Texas facility, this raw infused puppy formula is perfect for a growing Siberian Husky. With raw, freeze-dried poultry and easy-to-digest ingredients, this protein-packed, nutritious formula contains nature’s freshest ingredients like blueberries, sweet potatoes, salmon oil, and organic alfalfa. 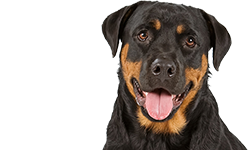 Most owners begin making the switch to an adult dog food when their puppy has achieved about 90 percent of his or her adult growth. 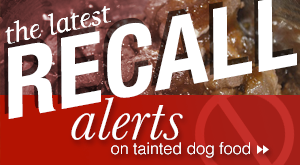 The AAFCO recommends a minimum of 18 percent protein for maintenance in adult dogs and 5 percent fat. 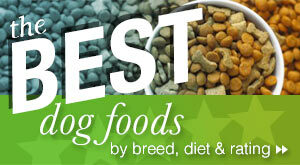 Most top-quality dog foods will exceed these percentages, as you will see in our recommendations below. Orijen’s “biologically appropriate” recipe is carefully prepared to sustain flavor and nutrients. Just like Merrick, Orijen freeze-dries their ingredients to provide fresh tasting food without the use of preservatives. 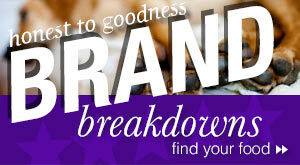 It’s low-glycemic, high in protein, and takes just minutes to prepare. 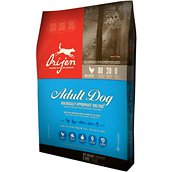 From the Original recipe to Regional and Tundra formulas, Orijen offers some of the most nutritious, fresh dog food you can find. If your Siberian Husky enjoys fish, he or she will love this smoked salmon recipe. 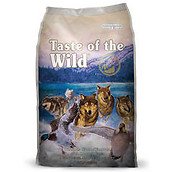 Loaded with nutrients that will energize and nourish your dog, Taste of the Wild Pacific Stream contains omega fatty acids for healthy skin and coat, pre- and probiotics for improved digestion, and antioxidants from fruits and vegetables. 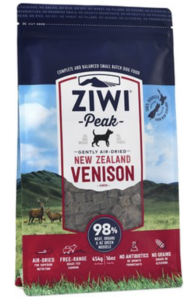 Consumers rave about the family-owned company with reviews that say dogs love the taste and smell of the food. 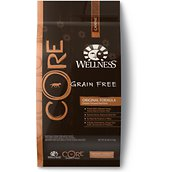 We love Wellness CORE for Huskies because of its high protein percentage, grain-free ingredients, and countless additional benefits. 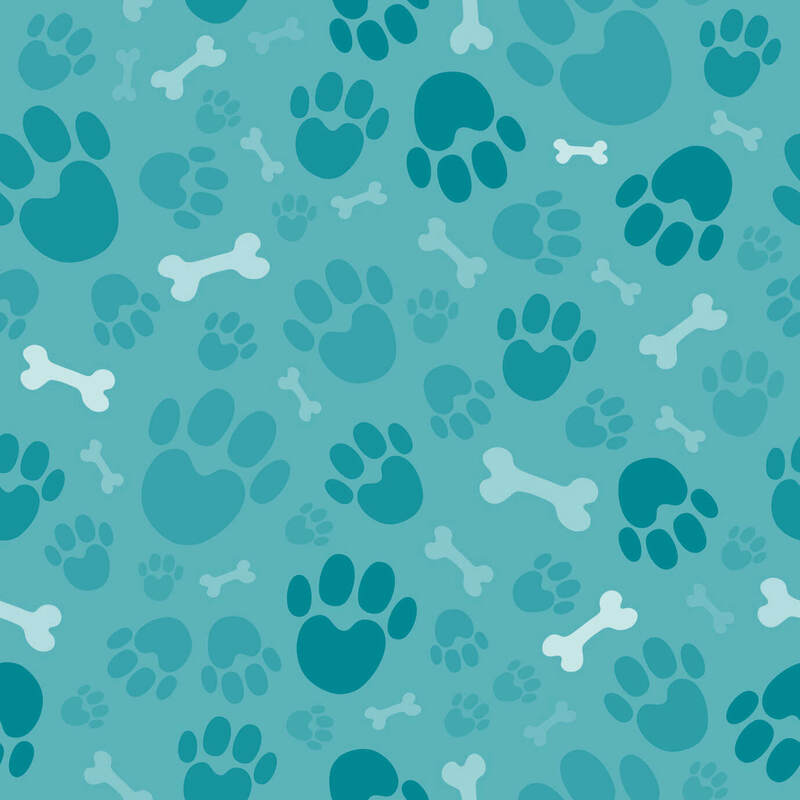 With glucosamine and chondroitin for joint health and omega fatty acids for healthy skin and coat, each bite is coated with probiotics to improve digestion. The kibble is completely free of meat by-products, wheat gluten, corn, soy, artificial flavors, preservatives, and colors. As your Siberian Husky ages, he or she will likely become less active and require diet changes to accommodate slowing metabolism. If your dog is a healthy weight, look for a dog food that has high amounts of protein to help maintain his or her muscle strength. However, if your Siberian Husky has become overweight as he or she has gotten older, you may need to decrease the dog’s portion sizes or opt for a specialty food that targets weight loss. If you choose a weight-loss formula, make sure it still offers your dog enough protein and nutrients. Ziwi Peak naturally preserves and protects ingredients through air drying. This New Zealand-made formula is free of antibiotics, growth hormones, grain, corn, and soy. The calorie-dense, limited ingredient dog food contains New Zealand green muscles to help support an aging Husky’s joints. The high protein percentage is perfect for a senior Siberian Husky that is losing muscle strength. 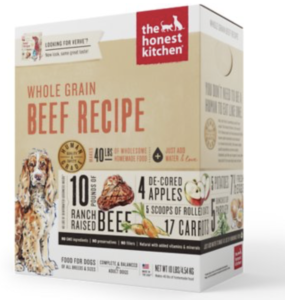 Prepared with dehydrated whole foods, The Honest Kitchen prides itself on offering dogs natural, healthy, and human-grade ingredients. 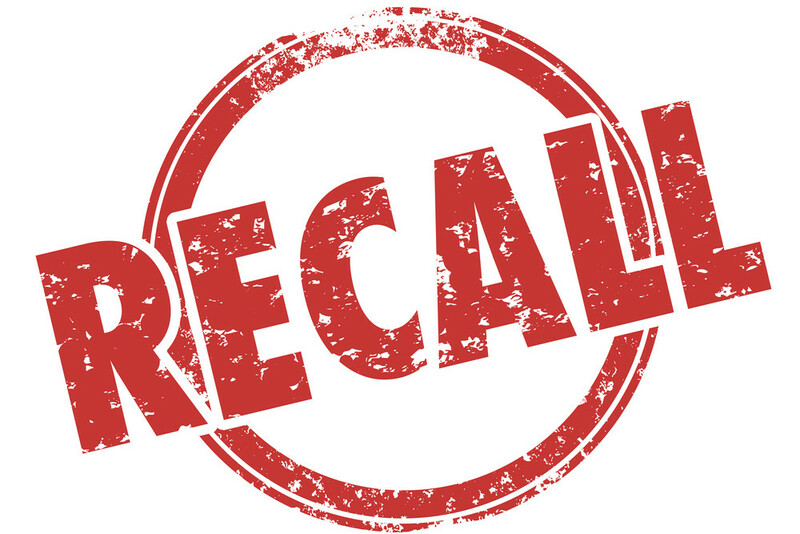 The formula is made in the USA with no by-products, preservatives, or GMO ingredients, so you can be certain you’re feeding your Husky only top-notch ingredients. 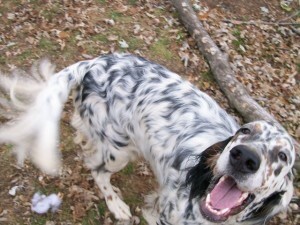 The Beef Recipe is low-calorie and low-fat for senior dogs who may be overweight. Siberian Huskies are a generally healthy breed as long as they remain active and have a nutritious, protein-packed diet with ingredients that serve their specific health needs. If your Husky is experiencing one of the more serious, common health issues – like hip dysplasia, zinc deficiency, or hypothyroidism – work with a veterinarian to develop a diet that is best suited to their needs. 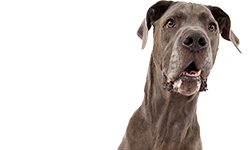 For more information and brand recommendations, check out our guide on the best dog food for large breeds.